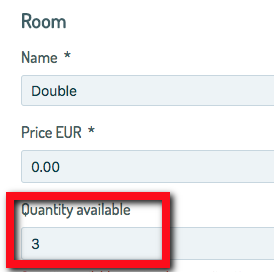 If you enable this function, the system will check daily if the number of available rooms is greater than the number of existing rooms. If the systems detects that you have more available than existing rooms, it will restore the correct availability depending on the number of existing rooms. ATTENTION!!! You have to set the number of existing rooms from the ROOMS section.